Two months after the whirlwind launch of the first-ever MICHELIN Guide in Bangkok, chefs are looking ahead to a year of improvement, new restaurants, innovation and maybe more stars. Since gaining a star, petit Jay Fai has been the darling of the Bangkok street food scene. The famous goggle-wearing 72-year-old – who does a cracking business of crab omelets and crab curry in Chinatown – has seen demand for her jumbo lump crab dishes go wild. For foodies around the region, posting a photo of Jay Fai’s burrito-sized crab omelet or snapping a selfie is the ultimate goal. Case in point: Reservation requests have flooded her phone line, and walk-ins can expect to wait four hours or more. She initially turned down Michelin’s invitation to join the award ceremony but decided to attend not knowing she would win a star. “I have a Michelin doll in my home but never knew they did food awards,” she quipped honestly. “I decided to come here to witness something specular for Bangkok, but I never thought I would win,” Jay Fai said. 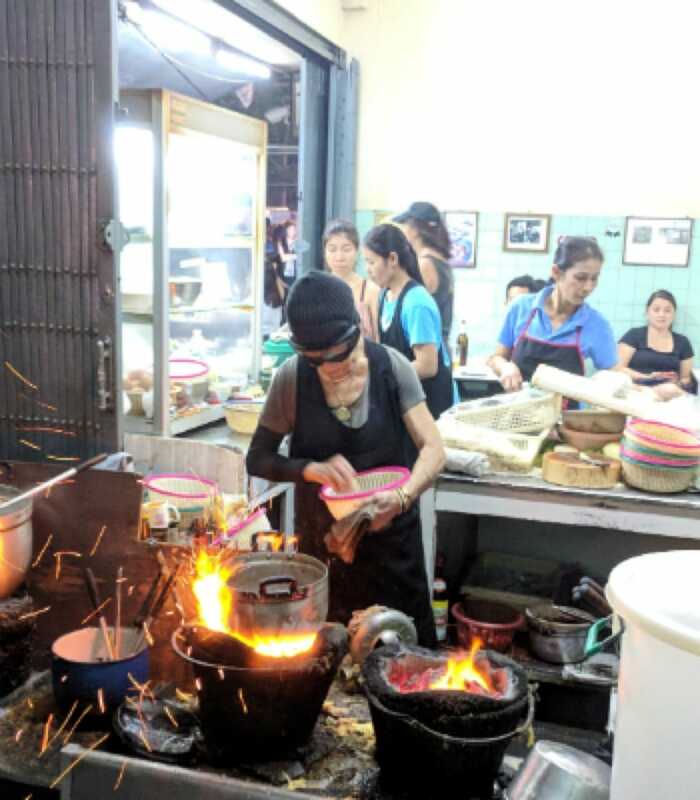 Despite multiple rumors of various kinds after receiving her Michelin Star – now that the dust has settled – the question on everyone’s mind is will Jay Fai retire soon and leave her shop without a predecessor? Michelin got the inside scoop straight from her daughter, and, thankfully, we can expect the crab curry queen to continue her reign. Photo Caption: 70 years old and still cooking. Jai Fai with her iconic goggles prepares one of her famous crab omelettes late into the night. 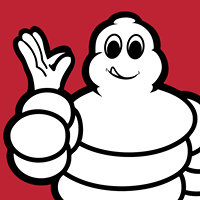 Michelin inspectors spent many months eating their way across the city, from hole-in-the-wall stalls to exquisite fine dining establishments. Few places impressed our secretive team of Thai and international inspectors like Le Normandie, who earned high accolades and two stars for their precision in service and high-quality and technical cooking. Sophisticated French food earned Chef de cuisine Arnaud Dunand-Sauthier and his team two stars. After reflecting on his award chef was quick to praise his predecessors: “We opened in 1958 and in a way, we have been working towards this goal since then,” Chef de cuisine Le Normandie, Arnaid Dunand-Sauthier said. Like many restaurant managers, owners and chefs, the Mandarin Oriental’s team was nervous about the Michelin awards. The hotel group has 14 Michelin-starred restaurants, with a total of 21 Michelin stars globally, making it the most decorated hotel brand in the world. Awarded two Michelin Stars and a place amongst the three highest rated restaurants in Bangkok was a great relief for the team at Le Normandie. “This accomplishment is the pinnacle of my culinary journey,” Chef de cuisine Le Normandie, Arnaid Dunand-Sauthier said. Photo caption: Chef de cuisine Le Normandie, Arnaid Dunand-Sauthier. Another two-star winner was Gaggan Anand of the eponymous Indian restaurant Gaggan. 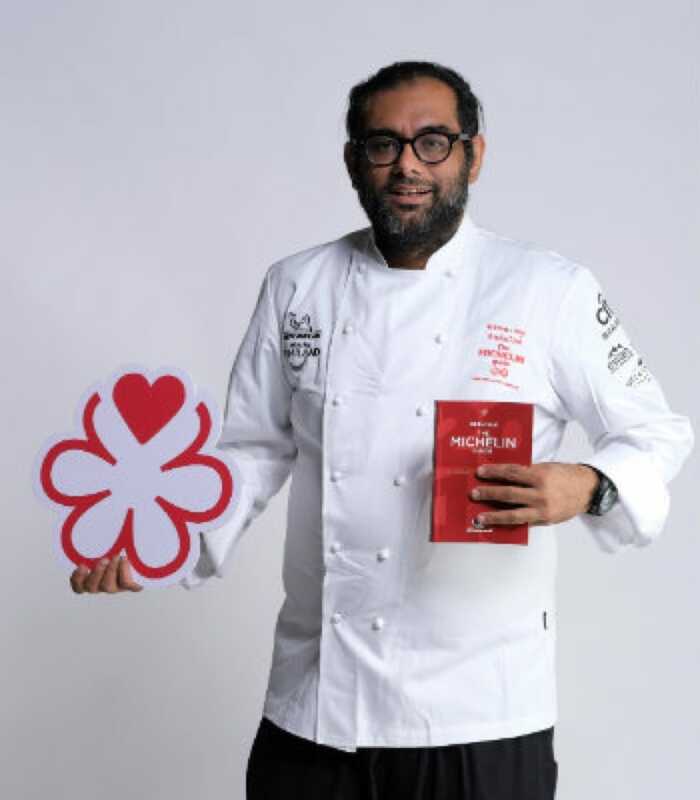 Several weeks after the awards, Michelin caught up with the celebrity chef where he revealed the number one reason he was happy with two starts and not three stars: his hair; it turns out, Gaggan had promised his team that he would shave his head if his restaurant earned three stars. “Two stars is a very good start for Bangkok and for me. If somebody would have gotten three stars the pressure is off, and the quality goes down. We all have something more to work for. “Chefs now understand that non-Thais can cook Thai food and that Michelin’s range in awards goes beyond French cuisine. “To earn two stars in an Indian restaurant where you have to lick your plate tells you a lot about Bangkok’s diversity,” Gaggan Anand said. Photo caption: Chef and Owner of restaurant Gaggan, Gaggan Anand. The internationally renowned and highly decorated chef isn’t letting his latest honor go to his head. Instead, he has two new business ventures opening this year. The first, he says, is a natural wine bar that he will open in partnership with his sommelier, Vladimir Kojic. The wine bar will share the same soi as Gaggan and Gaa, another Anand-backed restaurant, and will open in the first half of the year. Perhaps chef plans to dominate future Michelin guides, since Sühring, a German restaurant also backed by Anand, earned a star in the inaugural guide as well. Ryuki Kawasaki, Chef De Cuisine at Mezzaluna, was at a loss for words for after his two-star win, having to wait until the very end of the award ceremony to hear his name called. “I am a chef, not a showman,” he said after admitting that his goal was a single star. But fans of the sky-high dining experience only have a few weeks remaining to sample the menu that Michelin inspectors called “technically precise and perfectly balanced” because Kawasaki will debut an entirely new menu very soon, giving foodies yet another reason to journey to the Land of Smiles. 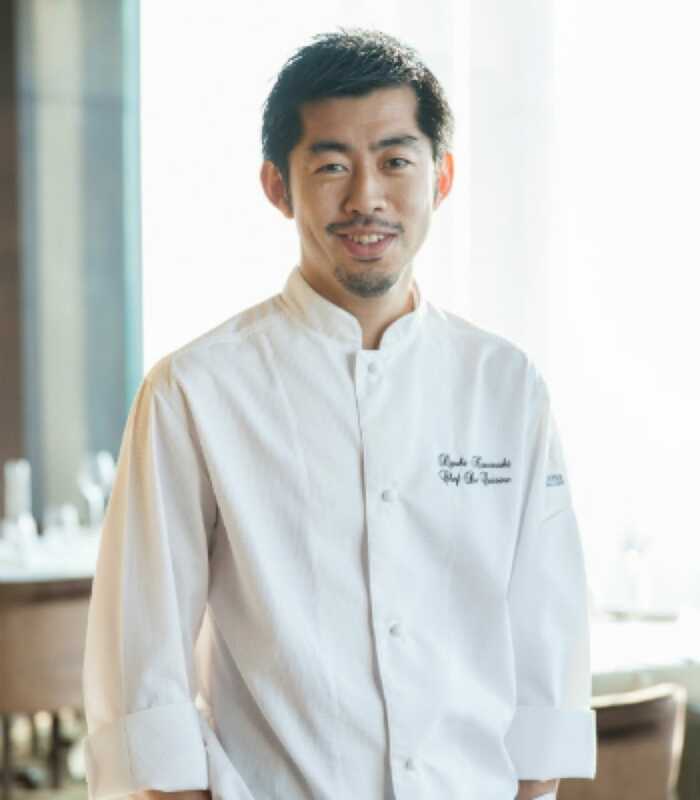 Photo caption: Chef De Cuisine Mezzaluna, Ryuki Kawasaki is one of many Michelin Starred Japanese Chefs working around the world bringing their own twist to French food. The Michelin Guide Thailand Editorial Team comprises of local and international writers specialising in journalism, travel and lifestyle writing bringing you content in both Thai and English. Saawaan, a one-Michelin-starred restaurant in Bangkok, is breathing new life into Thai food traditions with obscure ingredients from around the country. Ladies take center stage, as the 2019 Michelin Guide expands the ranks of Thailand’s female chefs, while building on Thai culinary traditions. With her family roots steeped in northern Thailand and Laos, it’s no surprise that Chef Bee Satongun is opening a second branch of Paste in the charming UNESCO listed city of Luang Prabang.